5. 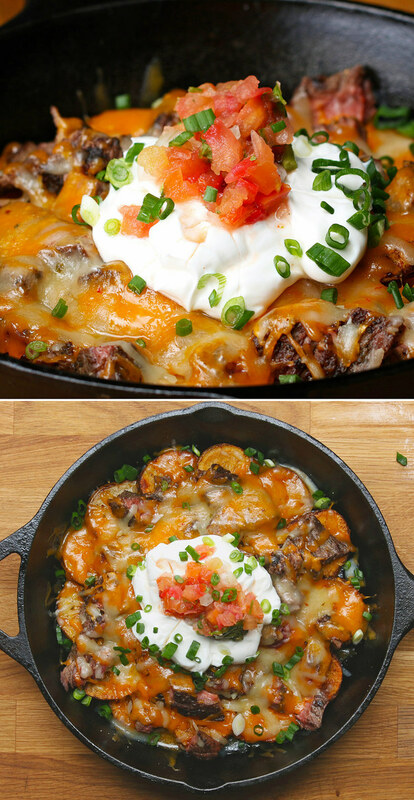 In a cast iron skillet or baking sheet, arrange cooked potatoes into a heap. Top with steak, then cheddar and Monterrey jack cheese. Broil for five minutes or until the cheese is melted. Oh my goodness! This has all the ingredients that make a hearty Mexican-style meal.